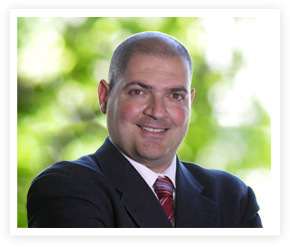 After graduating in 2000 from top-ranked USC Law School in Los Angeles, Immigration Law Attorney in Los Angeles, Mr. Sassoun A. Nalbandian was soon drawn to immigration law. Two years later, he opened his own law firm, Law Offices of Sassoun A Nalbandian (incorporated as Nalbandian Law), and devoted his practice to immigration law. Attorney Nalbandian’s personal strengths include exceptional interpersonal skills as well as oral and written communications skills. He has also discovered the many benefits of having a pre-law B.A. degree in Psychology. “I am better able to understand the psychology of the different personalities I encounter every day—immigration officers, immigration judges and government attorneys.” Mr. Nalbandian’s insights are just one of the reasons he has a nearly perfect track record of wins for his clients. Passionate about his clients’ immigration issues inside and outside the courtroom, Attorney Nalbandian approaches each case as though the client was his own friend or family member. His zealous advocacy exudes an unswerving confidence that reassures his clients and has a positive effect on judges, officers, and government attorneys. Mr. Nalbandian has earned a reputation for successfully handling the most difficult cases, ones that other attorneys refuse to take. Even though he takes more complex cases than the average immigration attorney, Attorney Nalbandian continues to maintain his nearly perfect success rate.